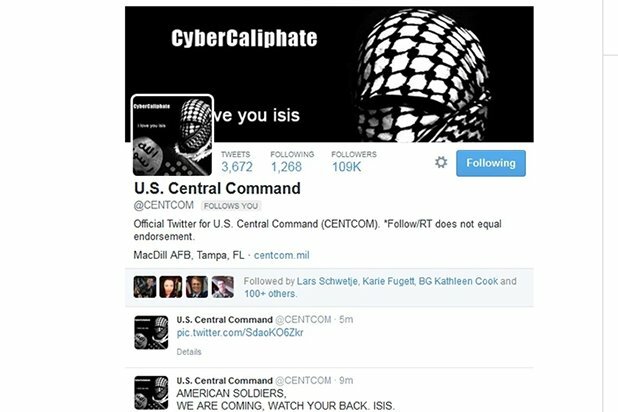 The US Central Command’s Twitter and YouTube accounts have been suspended after being hacked by a group claiming to back Islamic State. It was signed by ISIS, another name for the Islamic State. Some internal military documents also appeared on the Centcom Twitter feed. Centcom said it viewed the breach as “cyber-vandalism” and not serious. In a statement, the military command said there was no operational impact and no classified information was posted. “We are viewing this purely as a case of cyber-vandalism,” it said. The hack happened as President Barack Obama was giving a speech on cyber-security. Reflecting on major breaches like a recent hack of Sony Pictures, President Barack Obama said in his speech the US had been reminded of “enormous vulnerabilities for us as a nation and for our economy”. Barack Obama’s spokesman Josh Earnest said the US is looking into the Centcom hacking. He said they were investigating the extent of the incident, and that there was a significant difference between a large data breach and the hacking of a Twitter account. An unnamed Pentagon official told Reuters the hacking was an embarrassment but did not appear to be a security threat.